Whether a movie’s popular or profitable, there’s a good chance that Hollywood will eventually get around to remaking it. Some movie remakes are better than others, so I thought I’d put together this handy guide. Behold, the 50 best movie remakes. 1. The Blob – Kevin Dillon takes on the Steve McQueen role in this ’80s version of the black-and-white classic. Shawnee Smith also stars. 2. 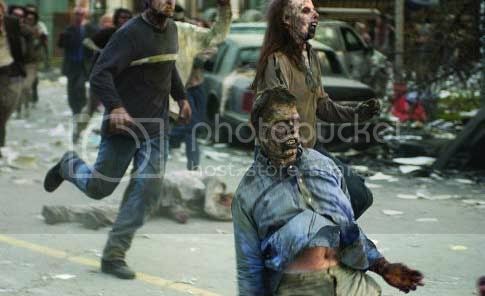 Dawn of the Dead – Zach Snyder helps revive the zombie genre by improving upon the Romero original. 3. The Fly – David Cronenberg and Jeff Goldblum? How could this 1986 film not be better than the original? 4. Friday the 13th – Jared Padalecki stars in the successful reboot of the legendary slasher franchise. 5. The Hills Have Eyes – Alexandre Aja takes the reigns in this 2006 version of the 1977 Wes Craven classic. Nearly identical to the original. 6. Night of the Living Dead – In 1990, Tom Savini directed a version of the Romero classic. Great film with a superb turn by Tony Todd. 7. Quarantine – A Spanish zombie film remade for U.S. audiences. Another movie to use the “someone is filming with a handheld camera” gimmick. 8. The Ring – Naomi Watts must save herself and her child after they both watch a haunted video cassette. Based on a freaky Japanese film, but is there any other kind? show up until the second film in the original series, as I would’ve loved to see him go toe-to-toe with R. Lee Ermey. 10. Dangerous Liaisons – A French version was filmed in 1959. This 1988 American version stars Glenn Close, Michelle Pfeiffer, John Malkovich and Keanu Reeves. 11. Little Women – The novel by Louisa May Alcott has been turned into a film on four occasions (1933, 1949, 1978 and 1994). The ’90s version starred Susan Sarandon and Winona Ryder. 12. Sling Blade – Before he made the feature film Sling Blade, Billy Bob Thornton actually made a short entitled Some Folks Call It A Sling Blade. Either way, it goes great with some french fried taters. 13. 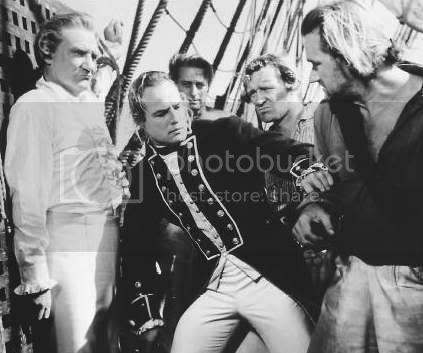 Mutiny on the Bounty – The 1962 version starred Marlon Brando and Trevor Howard, and it was an update of the 1935 film. A later version called The Bounty would be made with Anthony Hopkins and Mel Gibson. 14. Invasion of the Body Snatchers – 1978 saw Donald Sutherland, Jeff Goldblum and Leornard Nimoy teaming up to stop the devious Pod People. 15. The Thing – John Carpenter’s classic 1982 film was a remake of 1951’s The Thing from Another World (which starred James Arness as the monster). 16. 12 Monkeys – Terry Gilliam’s sci-fi film was adapted from the French short film La Jetee, which is made up almost entirely of still photos. 17. Star Wars – While it’s technically an original film, many will argue that it’s essentially a remake of Akira Kurosawa’s The Hidden Fortress set in outer space. 18. 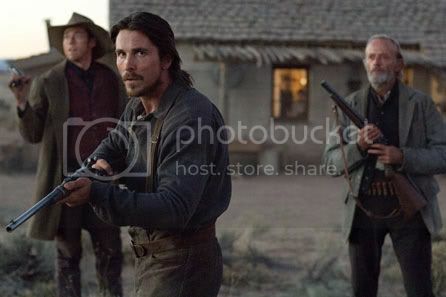 3:10 to Yuma – Russell Crowe and Christian Bale take over the reigns in this remake of the 1957 film starring Glenn Ford and Van Heflin. 19. A Fistful of Dollars – The film which started the Spaghetti Western craze, it’s a remake of Akira Kurosawa’s Yojimbo. 20. The Magnificent Seven – Another film based on the works of Kurosawa, and this time it’s a remake of 1954’s Seven Samurai. 21. The Taking of Pelham 1 2 3 – Denzel Washington and John Travolta star in this 2009 remake of the crime film starring Robert Shaw and Walter Matthau. 22. The Maltese Falcon – The first version of the hard-boiled novel was made in 1931. The classic Bogart version would follow in 1941. 23. The Departed – Originally an Asian film entitled Infernal Affairs, this remake turned out to be director Martin Scorsese’s biggest box office hit. 24. Ocean’s Eleven – Before Clooney and company yucked it up in this heist film, the Rat Pack did it in 1960. 25. Scarface – Brian DePalma takes a modern look at crime, complete with cocaine, Al Pacino and chainsaws. It’s not a pure remake of the original Scarface, but the two movies provide interesting bookends for the genre. 26. Shaft – Samuel L. Jackson dons the leather coat and plays the nephew of the original John Shaft. Christian Bale is the slimy, pampered villain. 27. 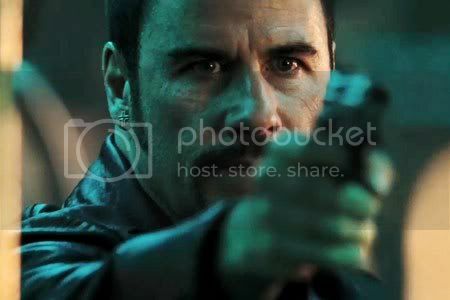 Heat – This thrilling Michael Mann film is technically a remake of the TV movie L.A. Takedown (1989), which Mann also wrote and directed. 28. Vanilla Sky – Tom Cruise stars in this offbeat film which combines romance and science fiction. Remade from a Spanish film titled Open Your Eyes. 29. Cape Fear – Robert DeNiro takes over the role of Max Cady from Robert Mitchum and does an outstanding job. Come out, come out, wherever you are! 30. Fatal Attraction – Michael Douglas cheats with Glen Close, but she just can’t let the relationship go. Before it’s all over, she’s terrorized his family, poured acid on his car, and even cooked one of his son’s rabbits. 31. Funny Games – Remake of a German film about two young men who kidnap a vacationing family and force them to participate in life-or-death competitions. Don’t expect a happy ending. 32. Insomnia – Al Pacino plays an Alaskan cop in this 2002 remake of the Norwegian film. Robin Williams also stars as a deranged serial killer. 33. The Man Who Knew Too Much – In 1956, Alfred Hitchcock remade his 1934 film and cast James Stewart and Doris Day in the leads. It was the first and only time that Hitchcock would remake one of his own films. 34. Ransom – The 1975 original starred Sean Connery. The updated 1996 kidnapping film featured Mel Gibson. 35. Tell No One – The American version of this French crime film is slated to start production in 2010. In the original, a doctor grieving for his wife comes to learn that she may not be dead after all. 36. 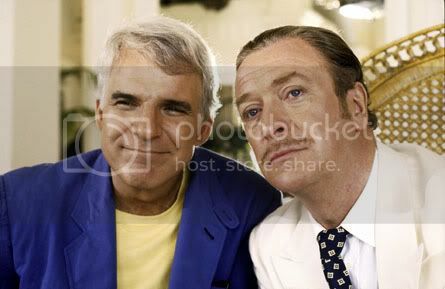 Dirty Rotten Scoundrels – This Steve Martin and Michael Caine comedy is very close to Bedtime Story starring Marlon Brando and David Niven. 37. Down and Out in Beverly Hills – Based on a French play, it was first made into a movie in 1932 by Jean Renoir. The original title was Boudu Saved from Drowning. 38. Charlie and the Chocolate Factory – The original had Gene Wilder, while the Tim Burton remake starred Johnny Depp. In my opinion, both were equally awesome. 39. Little Shop of Horrors – The 1986 version had a big budget and starred Steve Martin and Rick Moranis. The original 1960 film was a low budget affair directed by Roger Corman. 40. Three Men and a Baby – Before Tom Selleck, Ted Danson and Steve Guttenberg starred in this hit, it was a French film called Three Men and a Cradle. The first didn’t have Selleck’s moustache, so how good can it be? 41. You’ve Got Mail – Tom Hanks and Meg Ryan fall in love in this remake of The Shop Around the Corner (1940). 42. Victor/Victoria – Blake Edwards directed this hit musical dealing with issues of gender and sexuality. It was originally made in Germany in 1933 and called Viktor und Viktoria. 43. 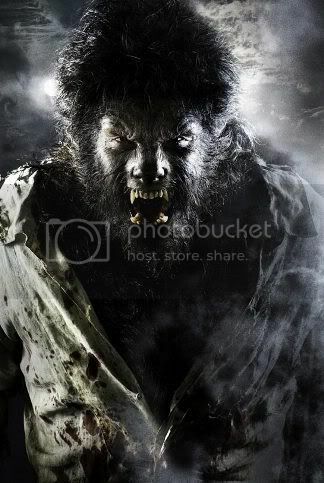 The Wolfman – Benicio Del Toro stars as Lawrence Talbot in this 2009 remake of the 1941 classic. 44. Clash of the Titans – Scheduled for a 2010 release, this retelling will star Sam Worthington, Liam Neeson, Ralph Fiennes and Alexa Davalos. 45. Footloose – Kevin Bacon may have a cameo in this remake of the dancing classic. Zac Efron will play the part of Ren McCormack. 46. Red Dawn – Chris Hemsworth has been cast in the Patrick Swayze role for this upcoming MGM remake. This time around, the Chinese will be invading the United States, later aided by the Russians. 47. Oldboy – Will Smith and Steven Spielberg are interested in remaking this South Korean masterpiece. Many fans hope they don’t, as there’s no way Hollywood will make a movie half as delightfully twisted as the original. 48. Near Dark – Platinum Dunes planned on a remake of this vampire classic, but it has since been put on hold after the success of Twilight. Still, expect to see a Near Dark remake in the next few years. 49. Battle Royale – New Line Cinema has been interested in remaking this controversial Japanese film, but they’ve yet to secure the rights. Things were also thrown off course when it was learned that the Virginia Tech shooter was a big fan of the film. 50. A Nightmare on Elm Street – In a reboot for the franchise Jackie Earle Haley will don the famous fedora of Freddie Krueger. This entry was posted on Monday, June 8th, 2009 at 9:14 am and is filed under Movie Megalists. You can follow any responses to this entry through the RSS 2.0 feed. You can leave a response, or trackback from your own site. Good call. That one got past me entirely. Ransom was also remake of Randsom! Glen Ford 1956. I am curious if you have seen all of these movies? Pretty much. I watch way too many movies. Uh, the Oldboy remake was officially canceled months ago (at least the Spielberg/Smith potential version). No Baron Munchausen on the list? How about Avatar (as its story is pretty darn close to Pocohontas… Or Dances With Wolves… Or, or or…). Props for including 12 Monkeys and Kaufman’s Body Snatchers (Abel Ferrara’s version ain’t bad either). Biggest omission from this list: Some Like It Hot, a remake of an obscure German movie, Fanfare of Love. And if you’re including junk like the Pelham remake, I think the following deserve a mention: Narrow Margin, No Way Out, The Talented Mr. Ripley (originally filmed as Purple Noon), The Getaway. I’m also curious why the remake of Tell No One is considered one of the top 50 remakes when it doesn’t even exist. I see Star Wars listed on more than one “best remake” list these days and I think it’s time to stop this madness. Whether or not there is a post-prequels urge to paint George Lucas as a hack, Star Wars is NOT a remake. Star Wars got an Oscar nomination for Best Writing – Original Screenplay, NOT Best Writing – Adapted Screenplay. That Lucas’ multiple inspirations can be identified does not make any one of them a substitute for Star Wars or take away from the originality of how Lucas fused old stories and images into a unique new fantasy. how did Charlie and the Chocolate Factory get on this list? it was terrible compared to the original…. and how can you put Clash of the Titans on here when it isnt even out in theaters yet? Perhaps I have the ability to see into the future. BTW, don’t leave the house on April 16th. u can watch it over and over again`! I believe Peter Jackson’s remake of King Kong was spectacular and a drastic oversight to not be on this list. It is a true remake that pays homage to the original in so many ways. Peter Jackson recreates 1930’s New York beautifully, not to mention creating the best CGI character to date. Footloose was bad enough the first time–why are they doing it with Zac Efron?!?!?!?! Now everybody’s eyes will fall out of their heads! How the heck can you include remakes that have not even been made yet and then claim they are among the 50 best? Lame and silly and ignorant of movie history. There are a lot of other remakes you are missing that indeed are better. I was shooting for silly, so it looks as though I hit the mark. Thanks for noticing! Two more obvious omissions: The Wizard of Oz (at least two previous versions) and The Maltese Falcon (two previous versions). Vanilla Sky is one of my favorites, far superior to the Spanish original Abre Los Ojos. 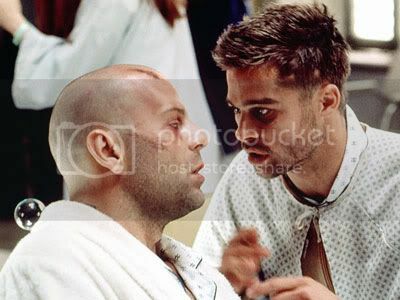 Another sleeper remake is the George Clooney version of Solaris – the Russian original is touted as some kind cinematic treasure and it is visually interesting, but I found it too obtuse and it bored me. I preferred the remake and found it deeply spiritual and achingly sad, with a beautiful, subtle performance by Clooney. WOW No Fast and the Furious??? I DIDNT THINK U WOULD MISS THAT ONE!!!! How can you make a 50 BEST LIST and include movies that aren’t even out yet? Because I have uncanny psychic abilities.